Description Puget Sound is starting to normalize in response to fall conditions with cooler air temperatures, rain, and recovering river flows. We are seeing fewer algal blooms, jellyfish, and macro-algae as salinities become more normal. Yet warm waters persist and El Nino and the Blob are likely to affect Puget Sound throughout the winter. The Nisqually River fared better through the drought than other rivers and best management practices have been improving its water quality. 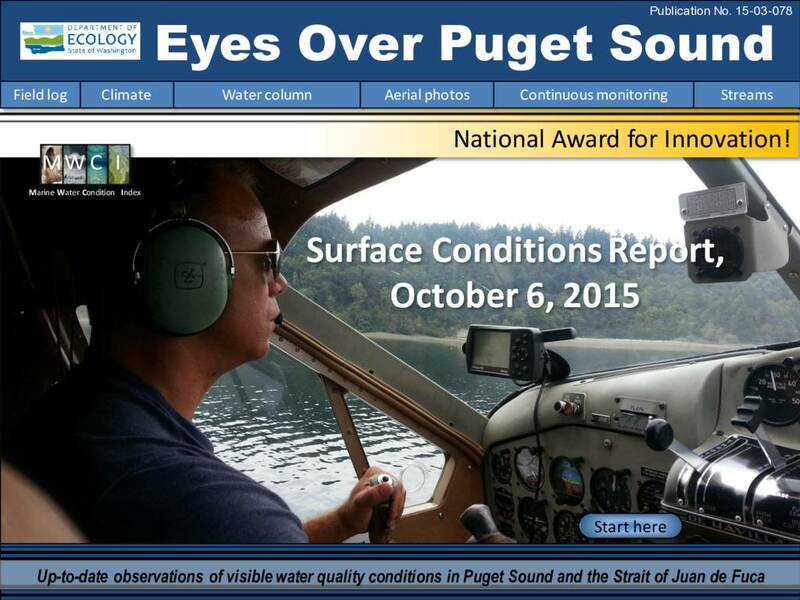 EOPS and ferry monitoring gain recognition with a national award for innovation!